Here we are again for another blog hop for the Turn It Up Tuesdays. Come link up your posts here. Leave me a comment once you link up so I can check your posts right away! Who knows, you might get picked to be featured next week! Week 4 of Turn It Up Tuesdays is here! Last week we had a total of 75 link-ups! We hope to exceed that accomplishment this week! Thank you to all those who joined in the fun! anything at all, as long as it is family-friendly. We want to laugh, be entertained, be inspired, and have a good time. Miriam chose Mini Pumpkin Cinnamon Rolls by Britni at Play.Party.Pin. Miriam thought "they look delicious and easy to make for breakfast. Definitely going to try this." Natasha chose Apple Picking Adventure by Michelle at The MaMade Diaries. "I love family fun...it's really all I'm about at this point in my life. To see Michelle's son having so much fun while Apple Picking reminds me of all the fun that I plan to have with my lil man. It's a beautiful post showing the love and fun of family." Kareen chose A Letter to A Cantankerous 7-Year Old Girl by Fascinations of a Vanilla Housewife. "I choose it because the way she presented her story was not just entertaining but it could totally give us a perfect picture of the craziness she had when she was a child. I love her writing style and all her childhood adventures. It was an interesting blog post for me. :)"
Jessica chose 5 Things I Was Too Embarrassed to Ask My Doctor About...So I Googled Them Instead by Lauren at Loving Marshall. "I am definitely guilty of this!! I remembered when I was a first time mom in 1993. No internet then but there were libraries!! Becoming a mom again in 2011, I was very fortunate. Google became my best friend, advisor, therapist, 2nd mommy, you name it! I'm sure every new mommy does this too :)." Denise chose October 2013 Letter: Dear Road Trips by Barbara at My Life As An Adventure ~ Living Life out loud ... "The imagery was amazing. It had me yearning to go on another road trip." 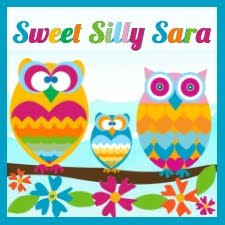 Sara (Sweet Silly Sara) chose Upcycled Recycled Recreated Crayons by Kristina at 2 Crochet Hooks. "I found this to be helpful because as the mother of a 3 year old I have nothing short of a gazillion broken crayons in a bucket. I tried melting them down in a double boiler and geez what a mess that was!" Stacey chose the Southern Fried Apples by Danita at O Taste And See. "Apples are one of the only fruits that my lil man will eat...add cinnamon and he is in like flint! I happen to love them over yummy ice cream, it helps me be able to eat ice cream...and I just love apples." Sara (Content in the Meantime) chose Quick and Satisfying Cranberry Peach Smoothie by Lori's Culinary Creations. "I love new smoothed recipes, and I love cranberry juice. A great way to get all the nutrients you need." for 60 days and free ad space for 30 days on This Momma's Ramblings! Congrats! Please showcase the badge below with pride on your blog! promo code for your ad space! 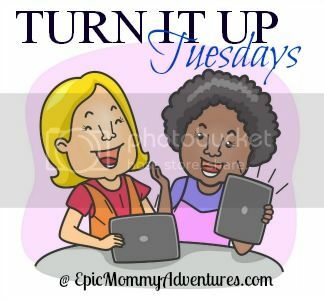 Link up your posts and earn the chance to be featured or become the Best of the Best on Turn It Up Tuesdays! We will feature the favorite posts each week! Next week, we will be offering 60 days free ad space on Epic Mommy Adventures to the Best of the Best! Welcome our hosts and co-hosts! and Stacey at This Momma's Ramblings! The fee is waived for November and December! If you are interested, please complete this form. Natasha will respond with the month that you will be co-hosting. Monthly co-hosts will be chosen on a first come first-serve basis. Co-hosts will receive free ad space on Epic Mommy Adventures for 60 days! Epic Mommy Adventures has reached a great milestone -- 1,000 followers on Facebook & Twitter. To celebrate, we have a big giveaway! Enter to win some great prizes! And we’ve also got another great giveaway! Natasha from Epic Mommy Adventures and Michelle from A Dish of Daily Life were two of the bloggers featured in The Mother of All Meltdowns book, which just became available for sale a few days ago! And one of our lucky fans is going to win a copy! Please add our button to your sidebar! Link up with us again next week and see if you get Featured or win the Best of the Best! Thanks so much for co-hosting! Thanks so much for highlighting my post! I couldn't believe it!! This is so cool! I will stop by next week.